It is a singular distinction of homeopathy to have used poisons for positive and curative effects on human and animal health. Homeopathic Materia Medica includes a large number of medicines prepared from most of the known poisons, including organic, inorganic, synthetic, herbal and snake poisons but that does not mean that homeopathic remedies are poisonous and harmful to take. The secret lies in the way they are prepared, potentized and used. The special pharmaceutical process of raising the potency of the medicine called "potentization" is done in such a way that every next higher potency prepared from the previous potency has a reduced content of the source substance. After a certain stage, the physical content of the drug disappears leaving the medicine totally non toxic. Thus any homeopathic medicine made from a poison, when taken in a higher potency is non toxic and safe and there is nothing to worry about. If your homeopath has recommended a remedy made from a poison, you can use it without the fear of being harmed by it. Most commonly known homeopathic medicines prepared from poisons are Arsenicum Album and Nux Vomica. Among several others, these two medicines are the wonder of homeopathy and have great curative properties for many diseases. I have noticed that as soon as a person comes to know that he/she is being given Arsenic, there rings the alarm and the person begins to worry about safety and side effects. As written earlier, homeopathic medicines in higher potencies prepared from poisons are non toxic if they are used correctly but if you just pick up any of them and start gulping it without indications and genuine requirement, you are going against the rules and laws of treatment. Do not do this and at the same time do not be afraid of such medicines unnecessarily. This is true for not only the medicines prepared from poisons but also for the medicines prepared from any other material. 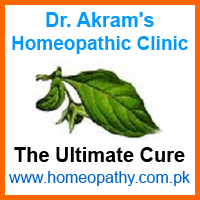 Medicine is a medicine and must never be used unnecessarily and that too without the advice of a qualified homeopath. If you have a health issue, consult your homeopath and follow his/her advice.